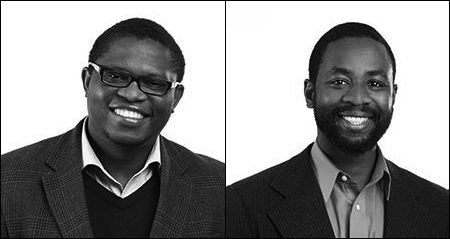 Global nonprofit Echoing Greentoday announced that Yale University graduate students Wendell Adjetey and Etienne Mashuli have been awarded a highly competitive and coveted Fellowship to help launch Tujenge Africa Foundation, which will build the first English language preparatory school and the first public library in Bujumbura, Burundi. The Fellowship will provide seed funding, mentoring and leadership opportunities as the project develops in the next two years. The enterprising pair will receive $90,000 in funding for two years, participate in leadership development events, receive mentoring from leading business professionals and, most importantly, become part of a global network of leaders.